What won our votes this year? What won this coveted award? 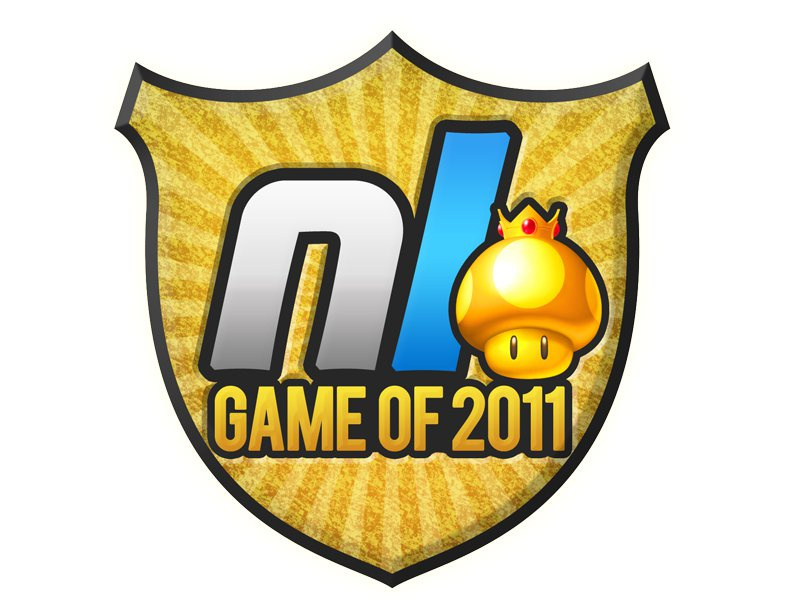 The past 12 months saw Nintendo support three consoles and announce another, so there was always going to be fierce competition for the ultimate prize of Nintendo Life Game of the Year 2011. 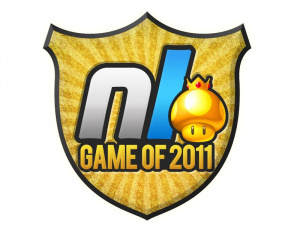 For the final verdict, Nintendo Life staff chose their number one game of 2011. No rankings, no tiers, just one vote each for the absolute best game of the year. In the end it came down to two titles: Super Mario 3D Land and The Legend of Zelda: Skyward Sword. Both titles received the same number of votes, leaving the directors and editor to make the final decision. The Legend of Zelda: Skyward Sword is a game of stunning creativity: the work of master craftsmen and women, it's a breathtaking technical achievement in many ways, with subtly beautiful visuals and audio blending with rampantly imaginative design. It's as good a Zelda game as we've ever played, and one that fully delivers on the revolution Nintendo promised back in 2005. Xenoblade Chronicles — North America, you get to play this in spring next year. You'll enjoy it. Rayman Origins — 2D platforming a-go-go with Rayman and his friends. It's quite cheap now, so you should go get it. Radiant Historia — Quality RPGs might be ten-a-penny on DS, but Radiant Historia is up there with the best. Tomorrow we have the results of the Game of the Year 2011 reader poll. We've had 6,000 votes over the past week — what games will you have voted to the top spots, and what will miss out on the honours? Check back tomorrow to find out! Congrats to all the winning games and the runner-ups. It's been a great year NintendoLife. Here's to another year of great Nintendo gaming!!!!! Rayman Origins is quite over-rated. I've been playing through it and the new Wii Kirby and where Kirby is pure fun, Rayman is flaky contols w/beauty. It's your typical style over substance game, doing well in end of year awards everywhere, but at my work, where NSMBWii was devoured for weeks until we got every possible thing, getting people to play Rayman has been hard. People like watching it, but they don't want to play it. That really says it all, it isn't a great game. Notably, the aforementioned Kirby is, as is the very deserving Moto Heroz, which got 2 months of daily play . There are some great Wii games this year, and Rayman is good, but not ddeserving to be so far up the list. The DS section is incorrect. There is no Radiant Historia. @Radixxs Yet it did get a nomination for overall Game of the Year, which is pretty cool! Looks like a good list of winners to me! I definitely want to try out Pushmo once I have finished all the current games I'm working on. I blame the furries on the DS section. Top picks as expected from the writers of NL, all winners in my book. Yet I am still so divided between "Xenoblade Chronicles" and "Zelda SS" for Wii's GOTY. I think both games will be with me for a long, long time to come (and this comes from a guy who still revisits SNES "Secret of Many" every odd year or so). I am a little sad not to see "FAST League Racing" up there, tough... go buy that game, people, I want Shin'en to make sequels! PS: "Jon — Another year, another complete lack of new F-Zero" <- Right there with you. @James Ah, that is cool. I didn't see it in its own category, so I just assumed it wouldn't be considered anywhere else. Truly a very enjoyable game though! Solatorobo surprised me, but other than that, it was mostly what I expected. I still think all the Honorable Mentions deserved more, but whatever. It's a good list as is. Real gamers know that Play with Birds was GOTY. Those are some fantastic choices all around. Most of these are games that I would have chosen in those categories such as Skyward Sword, Super Mario 3D Land, Pushmo and MotoHeroz. It is nice to see Solatorobo get some love but I thought that Radiant Historia or Ghost Trick deserved best DS game. Anyway, great article. It was really nice reading the staff's take on other happenings in 2011. Also, did @theblackdragon not have a "fangirl" moment this year? @MaikoRULES - Probably for the best, it didn't really do much to improve on its predecessor. I played Solotarobo, and it is not deserving of a top 3 nomination, let alone a win for best DS game. The two other nominees, Professor Layton, Radiant Historia, Pokemon; the games keep going. Congratulations to Super Mario 3D Land, The Legend of Zelda: Skyward Sword, Pushmo, and BIT.TRIP FLUX for their extremely well-deserved honors. I'm pretty sure Ron cheated by putting two disappointments instead of a fanboy moment and a disappointment, unless crying over a gold Wiimote made him go all gooey inside. A lot of the staff called my birthday their most surprising day of the year (in relation to Nintendo news), because that was when the price drop/Ambassador program were announced. Thanks for the classy awards presentation, Nintendo Life. EDIT: Kirby was good, imo, but really not Game of the Year material--if it gets any honors from other sites, it will be because nothing much came out this year for the Wii. Wait so I can still vote?!?! YES BRB!!!!!! I think I agree with most of this. DS had a weak year, DSiware actually got some good titles, Wiiware didn't have much but what was there was really good, I suppose SM3DL has to get best 3DS title because MK7 has the Wuhu Island glitch (without that, I would put MK7 above SM3DL) but 3DS still had a very weak year, Pushmo has to get 3DSware, 3DSware had a weak year but it is starting to look up, Wii had a slow year but Skyward Sword makes up for it and Skyward Sword takes gold. I probably will pick up Xenoblade but I don't think I will like it more then Skyward Sword. Biggest Fanboy Moment for me, SSB3D/WiiU being announced. I screamed. I don't normally do that. However, my excitement has died down after finding out that I will probably be in college before it is released and we may be looking at the successor to the 3DS if it actually takes 5 years and one version might be canceled if it takes too much time and it probably would be the 3DS version when I've wanted a handheld SSB for forever. Biggest Disappointment: Pilotwings Resort. They managed to take a great game from Wii Sports Resort which has a lot of great games, package it for about the same price as WSR and make it worse. By a lot. The slow Superman 64 style gameplay, the horrid camera, the way all the textures are flat (looks fine on wii, horrid in 3D) when you spend a lot of time looking at them, your free flight is still timed and you can't shoot balloons like in WSR (one of my favorite things that still brings me back to that minigame after a couple years). I could go on and on. However, I could just sum it up with one statement. The game is boring. I found everything except one hangglider ring and then sold it, got my $20 and put it towards Super Street Fighter 4 3D. Left a really sour taste in my mouth about a new system because there wasn't anything better to get. A very slow year for Nintendo. No games during the summer worth getting. A lot of huge mistakes. Releasing the 3DS and then giving it no games all summer. Letting the Wii die when they aren't releasing a new system until next Christmas, most likely. However, there were a lot of really great moments too. The Ambassador games, Skyward Sword, Four Swords, Etc. They gave us a lot of free stuff this year. My menu can't take it. WHAT? I like wuhu loop! I agree with them all but DERP! Pokemon Black/White should at least have been second at best DS game. I would have to say my most surprising moment was playing skylanders and finding out it is actually pretty good. Radiant Historia is worth any price ya find it at, if not more. U know nintendo just should come out and say it once and for all "yes the VC on the wii is going dead, and we are moving on". Then i would not mind them as much, hey maybe there working on a better VC for the Wii U. Just flat out and say it instead of releasing no VC for X months. Sry had to get the frustration out about that, before 2011 ends. I like Wuhu Loop too but the glitch is rather cheap. Still like MK7 more then every demo I've tried of SM3DL and I've tried a lot of levels from SM3DL. MK7 got 2nd.....2nd is the first loser. WHAT!!!!!!!!!!!!!!!!!! I demand a recount, ohhh this is the staff nevermind=) Only kidding I know this was staff from the start. By the way, how bad is the wuhu loop glitch, and is it likely to be fixed through. I know they said no game dlc til 2012 but i see the glass half full, not empty. Also I'll be getting the game on by birthday in a few months. Flux didn't win best WiiWare? Wow. I would've gave you guys extreme mad props for giving Bit. Trip Complete the Game of the Year award. It's what it deserves. It isn't the end of the world. From what I understand, if you drive off in the right place then Lakitu puts you right in front of the finish line. Still, it shaves a good amount of time off of your lap and people who use it have a serious advantage. I still love MK7. Much better then MK Wii and it stands up to MKDS, my favorite MK game. The course design is great (Rosalina's Ice World, Neo Bowser City, Shy Guy Bazaar) and the retro course choices are some of the best yet. They didn't add SNES and GBA courses just because they felt they had to. They added the best of SNES and GBA and then stuck to DS, N64 and Wii. I do wish that Cheese Land (GBA) and Tick Tock Clock (DS) were in there but the fact that Daisy Cruiser is there makes up for it. I loved that course when I used to play MKDD at McDonalds when I was little. Plus the online is great. It pretty much combines everything I like about Mario Kart Wii and Mario Kart DS. Though I haven't played any DSiware so far besides Four swords anniversary, I hardly would call it the best! Certainly it is fun and I guess even better if you play it with others. But it's extremely short. You can barely call it a proper Zelda. There is some extra content, but it is still a very small game. Luckily it is free! @Shiryu If my memory serves me correctly, FAST League Racing was pretty dang close to making it on the list, but when narrowed down to such a few it just didn't quite have enough to make it. It's still a great game nonetheless! Good to see Xenoblade being acknowledged as one of the best games this year despite not being released in America yet. For me, Xenoblade and Skyward Sword are about equal. It's too hard to choose between them. How the heck did Pokémon Black/White not even finish in the Top 3 of DS games?! Ron, I'm with you on Kirby's Return to Dreamland. I haven't played it yet, but from everything I've seen and read, it should be right up there with Xenoblade and Rayman. It should at least make up for the disappointment of Epic Yarn once I get my hands on it. By the way, the version of the glitch in Wuhu Loop isn't that bad. It's the one in Maka Wuhu that's truly course-breaking. Zelda getting game of e year is definitely deserved. If any game truly deserved it, it was that one. Really like the list overall. I would only disagree with DS game of the year. It should have been Black/White. Zelda GOTY, agreed. It's a shame we haven't even gotten our hands on Xenoblade here yet before the jury is out. It looks great, but I'm not an import guy so I'll just have to wait. I've been on the fence about getting either FAST or Motoheroz. I know both are great but I need to try one at a time. I'm so glad that Go Go Kokopolo made the list. It's a great game! So is Pushmo and Super Mario 3-D Land. All the Zelda games, too. Such an awesome list and I totally agree 110% It's been a great year for the 3DS! I'm glad Rayman Origins got a few nods. I have been enjoying the game thoroughly, and I can easily say it's a better game than one of its inspirations: NSMB. Great. Very glad that Xenoblade made it to the second position! Pokemon Black is still on my list of games to find the time to get to at some point! Cool article. But Kirby is better than Solatorobo. Come Back when You can put up a fight!!! Pokemon White was still my favorite game of the year, shame it wasn't mentioned once. @Paperclip Heck yeah. Maybe it will win in the BIT.TRIP Facebook page awards. I'm jealous of your job. Mario Kart 7 deserves 1st place. I've only really played 4 of the winning games yet so i better keep my mouth shut here. But Kirby Mass Attack, Mario Kart 7 and Pullblox are really great. Zelda OoT was nice too but i can't really get excited about a remake of a game i played before. One to Watch in 2012: Looking forward to Luigi's Mansion 2 the most. Of course i hope Kid Icarus: Uprising turns out great but i don't wanna get my hopes up too high for this one. Fanboy moment: The update that contained video recording. Especially being able to pay for just one eShop game was something i never thought i'd see. Along with the very Nintendo-like updates to StreetPass this makes me more optimistic that Nintendo really grasps online now. Ah, Ghost Trick. I almost forgot that released this year. It's easily in competition to be my favorite DS game of all time, incidentally. A year filled with more disappointments from Nintendo than I can ever remember, January right up until the release of Kirby's Return to Dreamland was absolutely putrid for Wii. If not for that game and Zelda (despite it being a little bit of a letdown), this would've been a worse year than 2008 for the system. The 3DS was a complete joke early on but to be fair, I have to give Nintendo credit for turning it around. They dropped the price to something much more reasonable and compensated early adopters very well. OoT 3D and Star Fox 64 3D were nice remasterings of classics and they closed out the year in grand fashion with the spectacular Super Mario 3D Land and Mario Kart 7. Those two games are 'gamer's games' just pure fun and embody everything Nintendo was once about. Now looking ahead, hopefully 2012 will be a better year all the way around. 3DS appears to have a good lineup but we'll see if a lot of the games scheduled to release actually do or not. They need to send the Wii (which overall has been a great console and in my opinion Nintendo's best since SNES) out on the high note it deserves, which means The Last Story as well as Xenoblade, and they have to have something big day one for Wii U (2D or 3D Super Mario at launch and I'll rush out to pre-order a Wii U). A revival of Virtual Console would be nice but I don't count on it. Thank you for at least mentioning Radiant Historia. That game is amazing. LoZ #1. Lol didn't expect that (sarcazm extremly detected). This was a good year for Nintendo games, even if it took them forever to come out. Every game on this list is deserving of praise! @2. Rayman's controls are fantastic. Once you get in the groove of hopping and bopping on enemies, you can move more fluently than you could in any platformer-- save super meatboy. Have you seen the par time clears? The way everything just flows together perfectly? The game is an underrated gem. The points you make are that of brand recognition. Man, I sure like Kirby. Man, co-workers sure do like Mario more than Rayman. Rayman is a roaring good time with friends, the level design is something to marvel at and the aesthetic is simply wonderful. I'd rather drive innovation with something so lovingly crafted than to play it safe like Kirby did. Say Rayman didn't make 3rd on this list, I doubt kirby would have been next up. I liked Kirby, I 100%'d it, but it isn't anything spectacular. @44. "It should at least make up for the disappointment of Epic Yarn once I get my hands on it." "once I get my hands on it." ^So it deserves a spot in your opinion having not played it? i think call of duty modern warfare 3 defiance should have made first on the ds. RAYMAN ORIGINS IS AWESOME!!! Its even better co-op and the character animations are hilarious! Rayman Origins was the best game in 2011. Also the best 2-D platformer after 16-bit era.